Italy is known for it’s healthy population, rich culture and beautiful landscapes. The local food is one of the secrets to the populations health, and it is the Mediterranean diet that is responsible for the foodie lifestyle. Many American reproductions of Italian classics such as pasta with heavy cream-based sauces, pizza with thick dough, and “Italian” sandwiches with processed meats and mayonnaise bare little resemblance to authentic Italian cuisine. So what is it about the Italian diet that is so healthy? 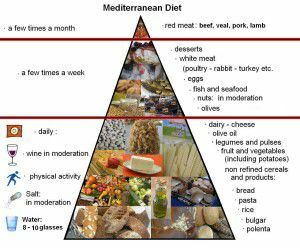 The Mediterranean Diet is named after the countries surrounding the Mediterranean Sea, and is composed of local fresh vegetables, legumes, herbs, fish, and moderate poultry and red meat. The foods in the Mediterranean diet are local, fresh and seasonal. 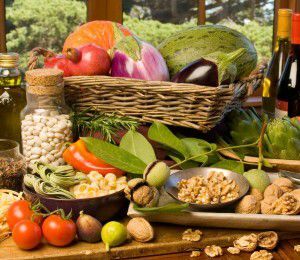 The primary foods in the Mediterranean diet are fruits, vegetables, nuts and grains. Vegetables are often local and chosen seasonally. Eating locally and seasonally provides fresh ingredients and variety throughout the year as new vegetables and fruits are interchanged with the seasons. Though the diet does permit occasional animal based foods, it is the plant based foods that make the majority of each meal. In the Mediterranean regions, locals often consume 6 servings or more of anti-oxidant rich foods each day. Antioxidants clean free-radicals from the body, and can help prevent or minimize illness in forms ranging from heart disease to mood disorders. A diet with generous amounts of plant based foods will ensure adequate levels of anti-oxidants and help maintain overall health. The Mediterranean region is home to many grain varieties that are healthy and packed with nutritional benefits. The most common grains are whole grains, and do not contain the unhealthy trans fats that some grain varieties have. Some “ancient grains” such as farro are loaded with beneficial components, and are used in salads, breads and more. The bread is often made fresh without preservatives or corn syrup that is used in many processed American breads, and is dipped in olive oil for flavoring instead of butter or sauces containing unnecessary saturated and trans fats. Nuts are another primary food in the Mediterranean diet. Nuts are high in fat and calories, but not to worry – it’s the “good” kind of fat. These fats help maintain healthy skin, promote healthy eyes, and play an important role in brain development. While the diet is not focused on low fat, it does emphasize choosing good fats and avoiding the unhealthy saturated fats and hydrogenated oils that are all too common in the standard American diet. Nuts, consumed in moderation, add many nutritional and flavor benefits to many traditional Italian dishes. 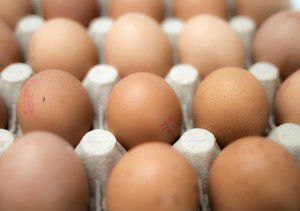 They contain fiber, protein, calcium, vitamin E and more. They are also a filling snack, and can be a great energy boost. 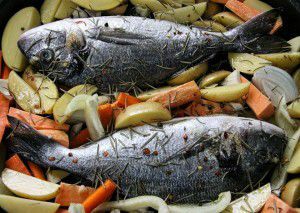 The Mediterranean diet recommends eating fish at least twice a week. Fish contain protein, omega-3 fatty acids, Vitamin D, Vitamin B and more. Eating fish twice a week provides benefits to many parts of the body, and is one of the richest natural sources of omega-3 fatty acids, which affects heart, eye, brain and joint health. With anti-oxidant benefits and a diet with optimal levels of omega-3, traditional Italian cuisine is very heart-healthy and promotes cardiovascular health. Traditional Italian cuisine does make use of dairy, poultry and eggs. These foods should be consumed occasionally, and in moderation. It is important to add these food products as supplements to the meal, rather than view them as primary food objects. Many Americans think of heavy cheese and red meat based lasagnas when they picture Italian food, but this is not an accurate picture. Authentic Italian food uses cheese delicately as an flavor booster, and does not overwhelm the dish with heavy layers. These foods can make a great addition to a meal, but it’s important to not go overboard. Authentic Italian food uses red meat sparingly. In fact, the Mediterranean diet recommends no more than a few servings of red meat and processed sugar a month. 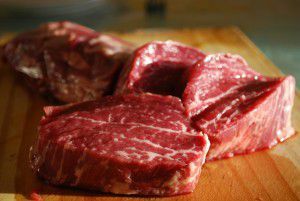 When choosing red meat it is recommended to use lean cuts, and proportions about the size of a deck of cards. Processed meats are to be avoided, as well as refined sugars. Although red meat is used sparingly, there are authentic Italian dishes that make use of it with meat cuts such as Salami, Cacciatore, Capicola, Spicy Hot Casalingo, and Bresaola. These meats are traditionally paired with cheese, sliced thin and bought locally, fresh, and organic. 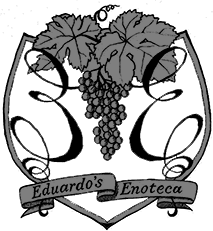 Red wine is commonly used for both cooking and drinking in authentic Italian cuisine. The legal drinking age in Italy is 16, but statistics show that many Italians had their first taste of red wine around the age of 7. This may sound like a tragedy, but bare with us. Episodic binge drinking in Italy is very low in comparison to many other European countries. Only a reported 6.2% of drinkers polled claim to binge drink. In the USA this number is 24.5%, Ireland is 33.4%, and the UK comes in at a staggering 48%. This is because Italians perceive red wine as a supplement to a meal rather than a party beverage. In fact, red wine is shown to have some health benefits. It is high in anti-oxidants, and is beneficial to the heart when consumed in moderation. 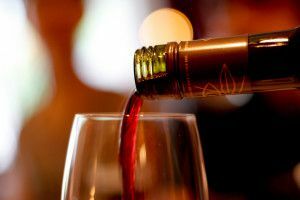 Red wine also contains resveratrol, which prevents damage to the blood vessels, reduces cholesterol and prevents blood clots. Moderation is key, because over consumption can actually produce the opposite effect, increasing blood pressure and causing damage to the liver and other organs. Though many Italians drink red wine, alcohol abuse is uncommon when compared to other European and North American countries. 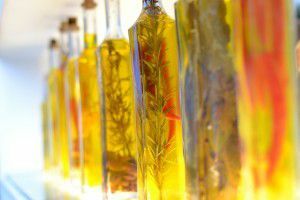 Olive oil is a common ingredient in authentic Italian food. This is lightly drizzled over pastas, breads, vegetables and more. This is the healthy substitute for other cooking mediums such as butter or margarine, which contain loads of unhealthy fats. Spices and herbs are utilized as flavor boosters, and replace salt, sugars and unhealthy alternatives that are used all too often in common American foods. Natural herbs are loaded with nutrients, and also provide potent flavor to Italian dishes. Cooking with these tools allow Italian chefs to create delicious foods that are also healthy. Don’t be fooled by cheap Italian imitations. Authentic Italian food is healthy, delicious, and very diverse. Italian food culture has utilized many different food types to create interesting flavor combinations that can only be created with the Mediterranean foods. This diet is responsible for the healthy population as well as the thriving food culture that has evolved and lasted for centuries.